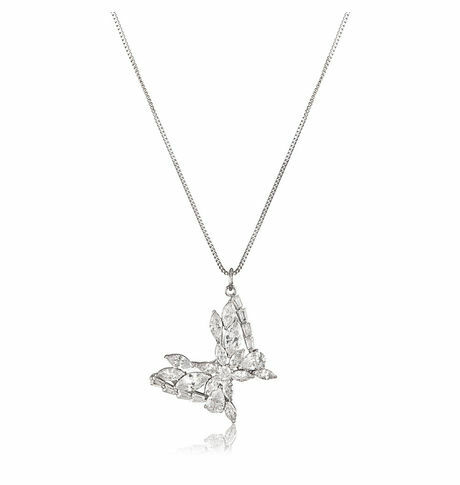 Elegant and chic, this stunning butterfly necklace is a distinctive piece. Designed in a butterfly shape and embellished with cubic zirconia stones, the pendant is attached to a chain. This piece can make heads turn. Elegant and chic, this stunning butterfly necklace is a distinctive piece. Designed in a butterfly shape and embellished with cubic zirconia stones, the pendant is attached to a chain. This piece can make heads turn.Cancellation and Return Policy: • Exchange allowed post booking • No order cancellation or Refund transaction allowed at the store.